When it comes to interior design, colour is one of the most important tools we have. Colour tells a story. It can transform a room, convey a certain mood, open up or close off areas, delineate spaces, and highlight unique details. As such, when thinking about your space, it’s a great idea to begin by choosing a colour palette. Remember, the colours you choose extends well beyond the paint on the walls – they’ll be picked up in the floors, ceiling, window treatments, furniture, fixtures, lighting, and other details to create a cohesive space. When you start thinking about colours, it helps to step into the room itself and let it give you inspiration. That might come in the form of a large stone fireplace at one end of the room, or in the ocean view out the window, or in a particularly striking Moroccan tile you know you definitely want to keep. Have you already chosen a particular piece of furniture or a beautiful painting for the room? What colours do these incorporate? If your room already has a focal point in the form of a particular item, the rest of the palette can grow naturally from this. Using a focal object like a painting as the base for your colour scheme also ensures that the painting will stand out in the space. “Colour theory” is the term artists and interior designers use to describe how certain colours work harmoniously together, while others totally clash and create a jarring experience in the mind. We start with a colour wheel. You’ll see the warm colours – yellow, orange, red – are on one side of the wheel, and the coolers blues, purples, and greens are on the other. If you want colours to work together harmoniously, then choose from a palette that sit next to each other on the wheel. This is great for a soothing and relaxing atmosphere. If you’re a little more adventurous, use colours on opposite sides to create a more striking and vibrant space. There are many other “tricks” and tips from colour theory. Did you know that if you add warm colours to a small room, it will make it appear even smaller? Every colour has an “undertone”, and you can anchor a room by pairing your bolder colours with neutral tones that have the same colour as an undertone. For example, using a buttery yellow together with an ivory with a yellow undertone. 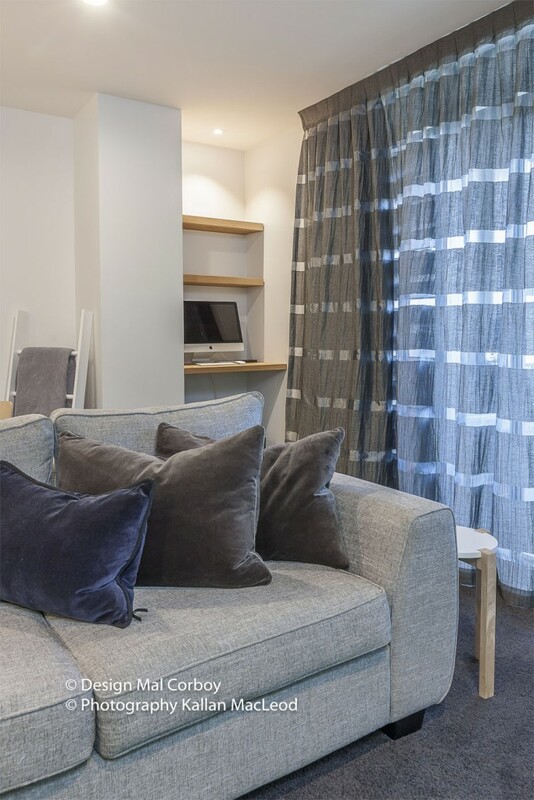 Each space in your home must flow into another space or to the outdoors, so it’s useful to create a cohesive colour theme that can tie the spaces together. Otherwise, movement through your home can be quite jarring as you encounter too many different themes. You can use the same neutral colours – or different shades of one colour – to anchor the house, then add different accenting colours in each space. Colour is a designer’s greatest tool. 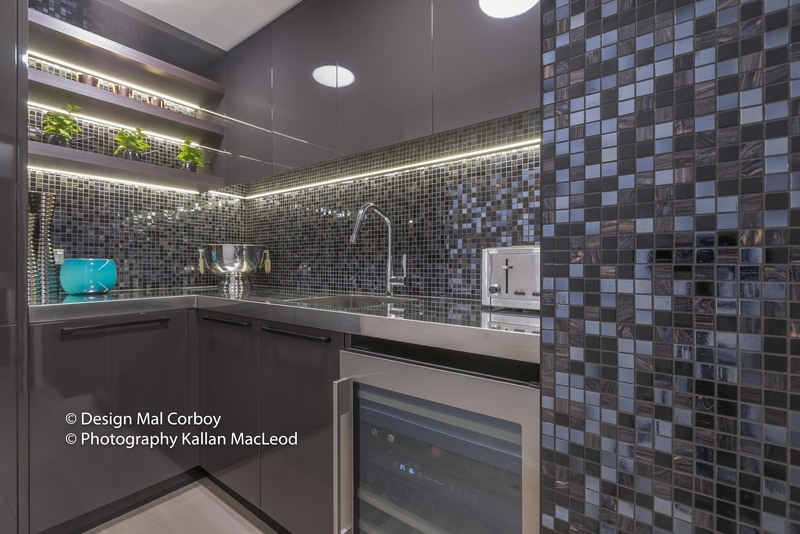 If you’re feeling a little overwhelmed with colour ideas, or don’t know where to begin, then let critically-acclaimed interior designer Mal Corboy show you how he can transform your home. Contact Mal for a no-obligation consultation today. 5 reasons why interior design isn’t as expensive as you think.